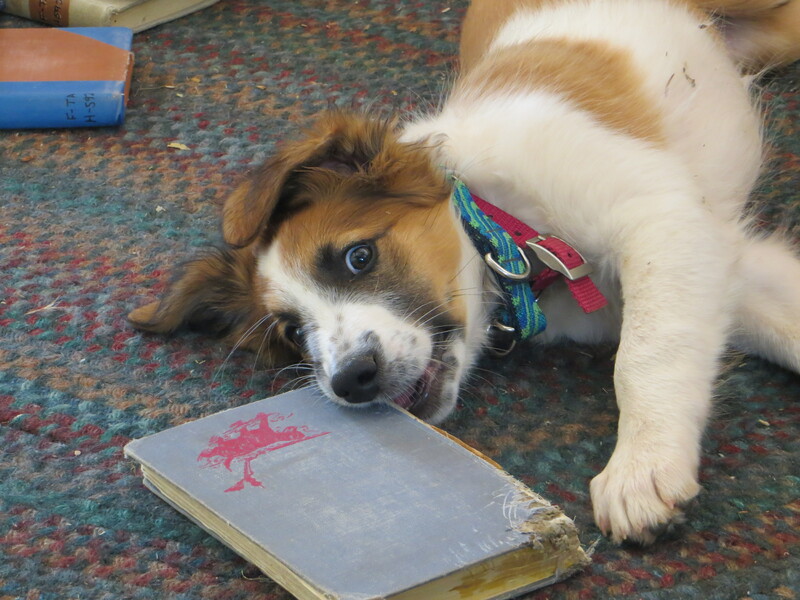 “But I *heard* you… You said you devoured books! Too cute! Even if she does devour books! Oh, what a mischievous little cutie. She has that mischieveous look in her eyes like “oh no! She saw me!” Been named yet? And so it goes with puppy traomomg!!! tee hee Just hope it wasn’t a good one. Boy, I would have a hard time getting work done with that sweet girl around.